The considerable amount of land required by Lidl for its planned distribution centre in Malta is holding up the project, according to Economy Minister Chris Cardona. The news is not bad for all stakeholders: in fact it will be welcomed by local importers, according to sources, who are now cautiously optimistic that the project will slowly die. Although the project was touted as a regional distribution centre, local importers were concerned about how it would tie in to Lidl’s local stores. 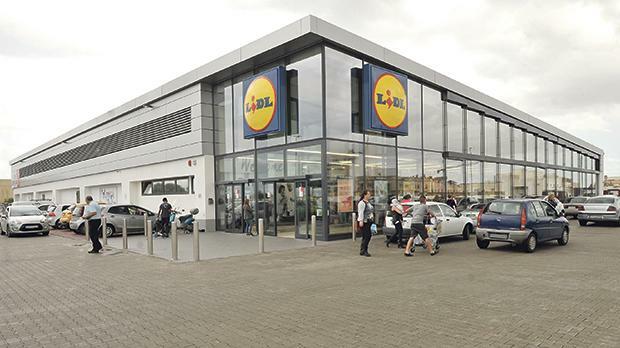 Many of them were deeply unhappy that the German retailer might end up paying less than commercial rates for a warehouse – which would then be used to supply their operators in Malta, giving Lidl a competitive advantage which would hurt their operations. When the minister had announced the project in March 2017 during one of a series of the government’s public outreach events, he had focused not on importers but on local producers. Dr Cardona had projected that within three years, Lidl would increase the value of products it purchased from Maltese manufacturers from €3 million to €22 million, with most of these products destined for export. However, sources familiar with the talks were also sceptical about this claim. “If Lidl wants to buy from local producers for export, there is nothing to stop them from doing so now. The distribution centre would make no difference,” he said. The deal with Malta Enterprise and Malta Industrial Parks would create more than 120 jobs, according to Dr Cardona, which the sources said was also irrelevant in a scenario where the challenge for the country was filling vacancies and not creating more jobs. “And you have to ask what level of jobs these would have been,” he said. However, when asked in parliament by Nationalist MP Chris Said for an update recently, Dr Cardona replied that the viability of the project depended on having a substantial amount of land. Dr Cardona said that discussions were under way between the two parties but the sources close to local importers said that they were sceptical that a solution would be found after all this time.